I named these cookies Ultimate Peanut Butter Chocolate Chip cookies because my family and I love them that much. Really. If you love peanut butter and chocolate, you will love these. 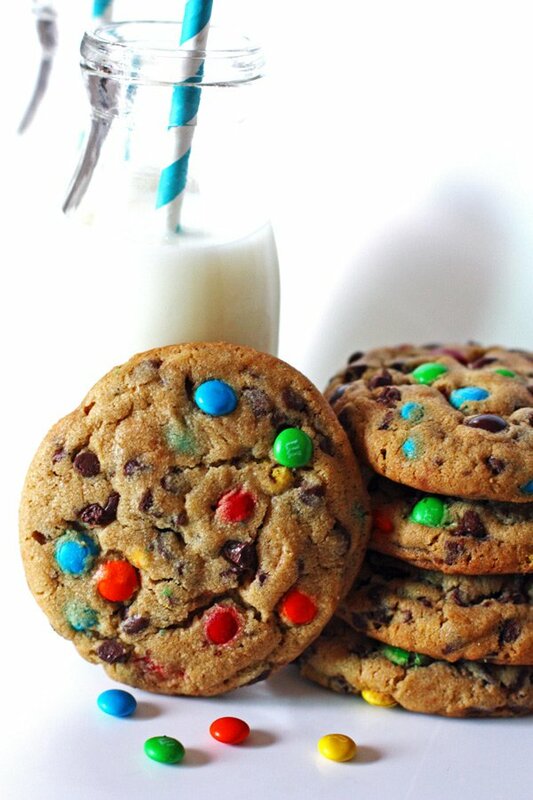 They are a jumbo sized cookie filled with jumbo sized peanut butter flavor and just enough chocolate with the chocolate chips and M&M’s to make any peanut butter and chocolate fan oh so happy! Did I grab your attention? Are you ready to bake some delicious cookies?! Chilling the dough is something I recommend when making these. Why chill the cookie dough? Chilling the cookie dough makes the dough spread less and makes a thicker cookie. I don’t know about you, but we like a nice thick, soft cookie to go with that glass of cold milk. I usually chill the dough overnight. 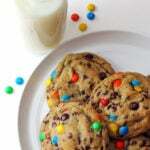 And if this is not a sweet enough treat for you, here is another idea of what you can make with these cookies. 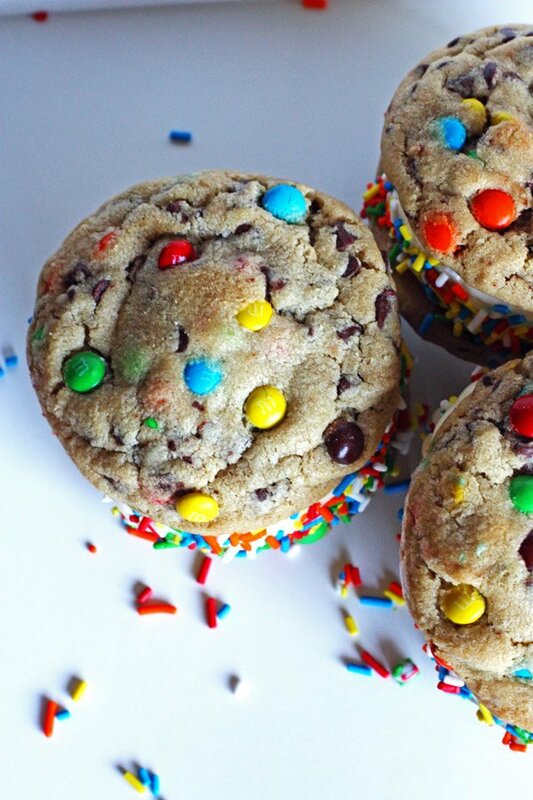 Ice Cream Cookie Sandwiches! We made them this summer and they are swwweeeet! We chilled the cookies in the fridge just for a little while. For this additional recipe, you will need one pint of vanilla ice cream and sprinkles. Again, sprinkles just make them look prettier! A tip for doing the ice cream…cut the bottom of the pint container off and push the ice cream out onto a chilled plate. Cut the ice cream into about one inch slices. Then place a slice of ice cream on one cookie. Place the other cookie on top and add sprinkles. Just have those cookies and sprinkles ready to go because when working with ice cream, you have to work fast! It melts so quickly! They are best eaten right away but you can quickly wrap them up and freeze for later. Beat in the egg and add in the vanilla. 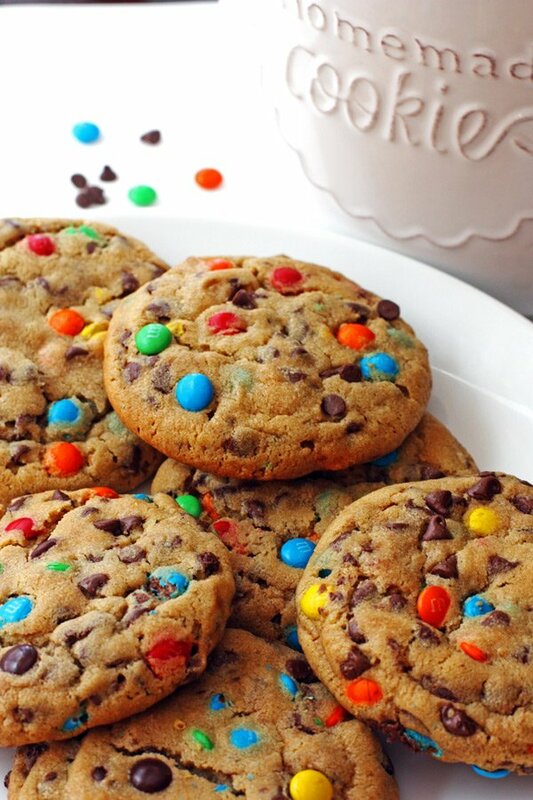 Add in the chocolate chips and M&M’s until just mixed in. Chill the cookie dough at least two hours or overnight. 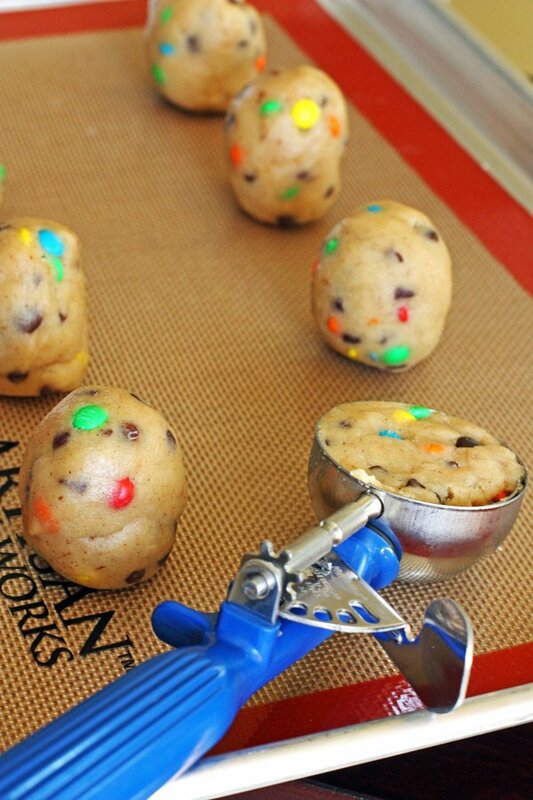 Roll the cookie balls taller than wider. Place six at a time on each cookie sheet, leaving about 2 inches in between each one. 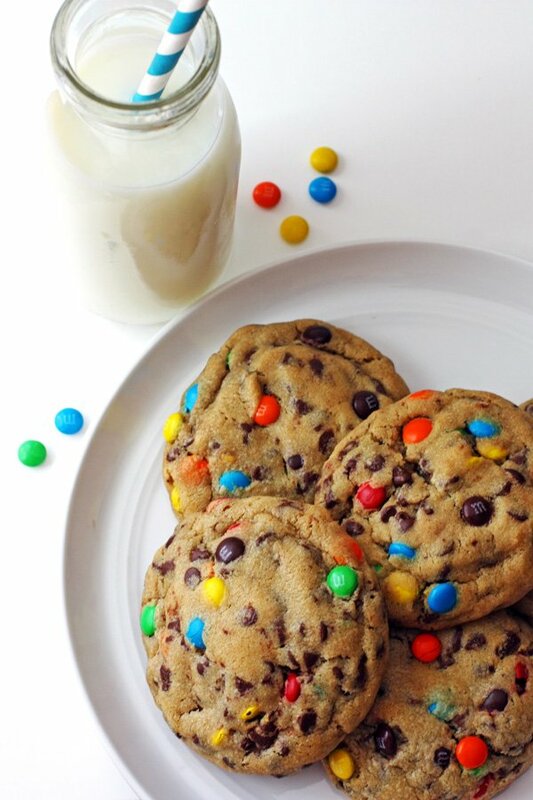 Press additional chocolate chips or M&M on top, optional. Chilling the dough is not mandatory, but I like to chill my cookie dough as it helps make a thicker cookie.